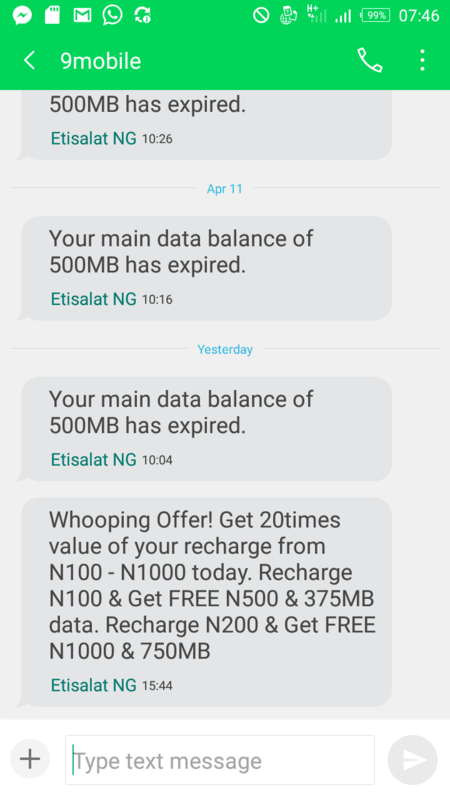 It's another moment to enjoy a huge whooping bonus from 9mobile as they announced the welcoming back of some abandoned SIMS with 2GB data and N5,000 airtime to make call. I guess this is quite interesting , sometimes back MTN did something like these and many people enjoyed it. Welcome Back! You have N4,000 worth of bonus. N1,000 airtime for national calls and N3,000 worth of data. All valid for 30days. Have you inserted your 9mobile SIM? you're going to get notification telling you that you have bonus to claim. You'd going to dial *228# to confirm and the N3,000 worth of data was converted to 2GB which is going to last for 30days. So no dulling moment , hurry now to look for your old or dormant SIM to enjoy this offer.